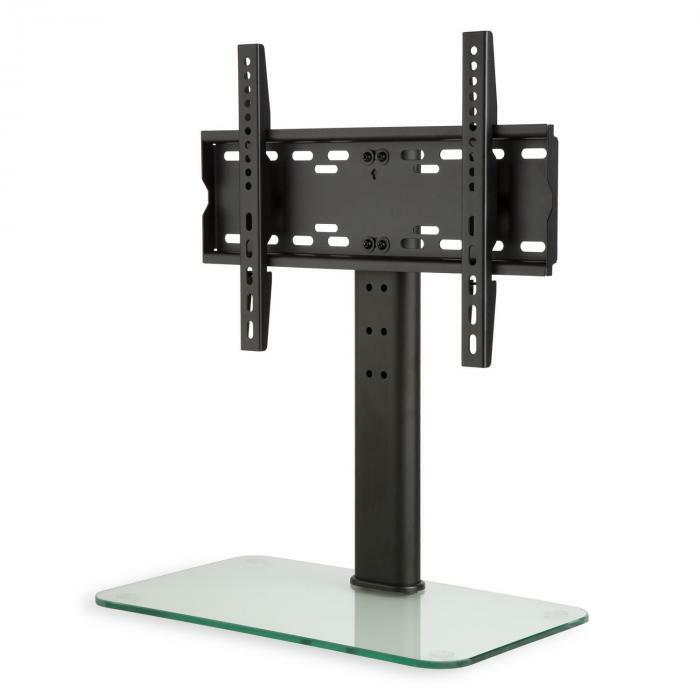 If perfect home entertainment is on the list, the TV stand in size M from auna is a must-have! The robust, high quality column with its stable elegant stem does what it promises, positions the screen in a functional place and impresses with its attractive design. The search for a suitable TV holder and practical wall mounts for TV sets or PC monitors is now over. 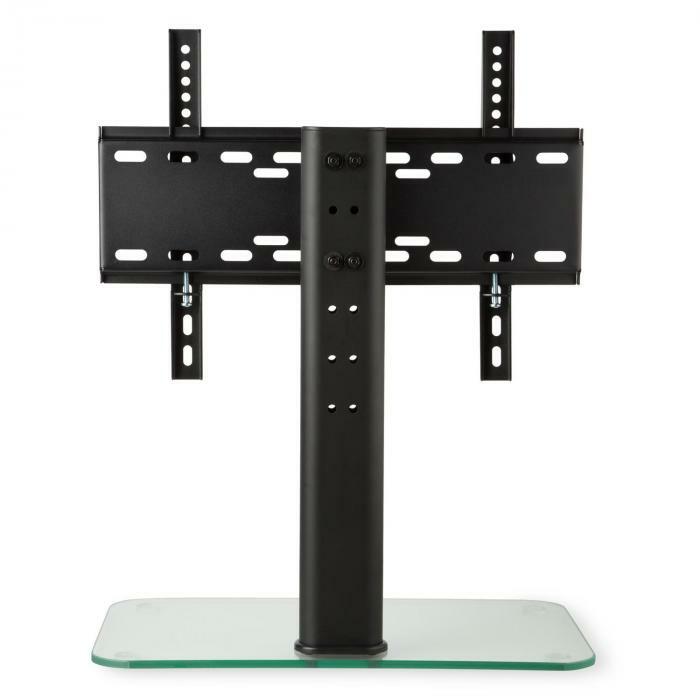 The auna TV stand in size M makes nightly TV entertainment as well as action-packed games an uncomprimising highlight. Simple and straightforward, the screen's height can be tailored to fit your needs via the three possible height levels. 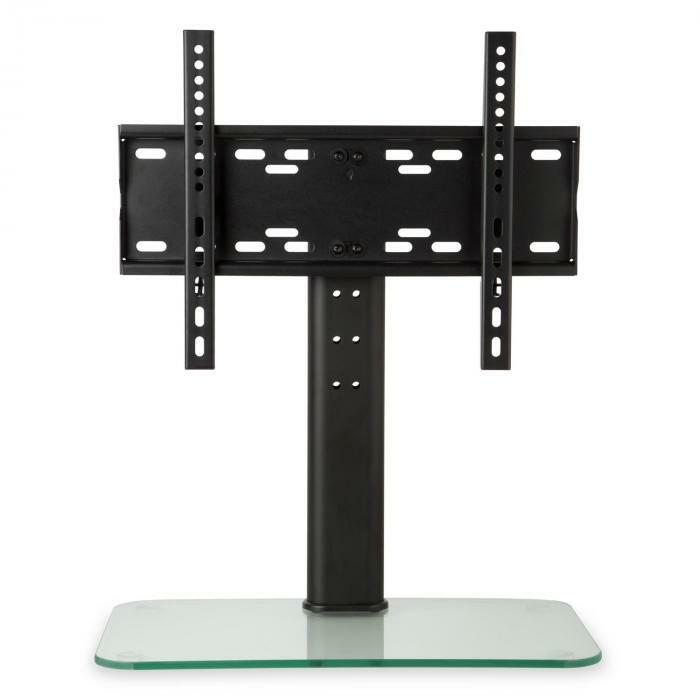 Whether you are watching football, movies or TV series, with the TV stand from auna watching TV will always be a treat! 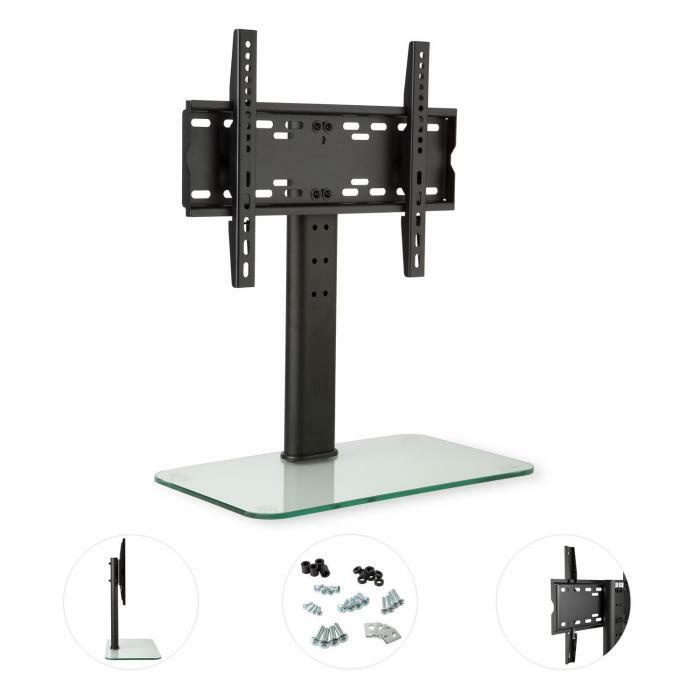 Additionally, the television column is easy to install and safe to use. 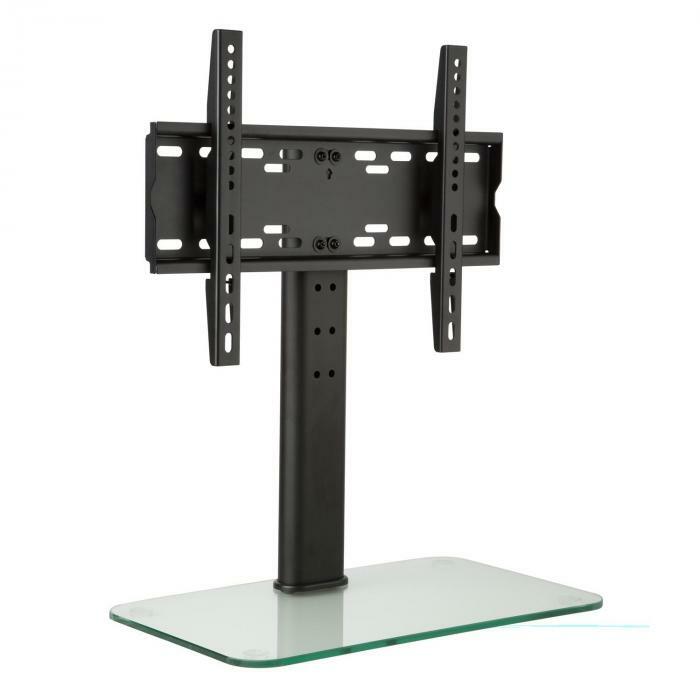 Since the TV stand can hold also monitors, it has earned the title of a genuine all-rounder. 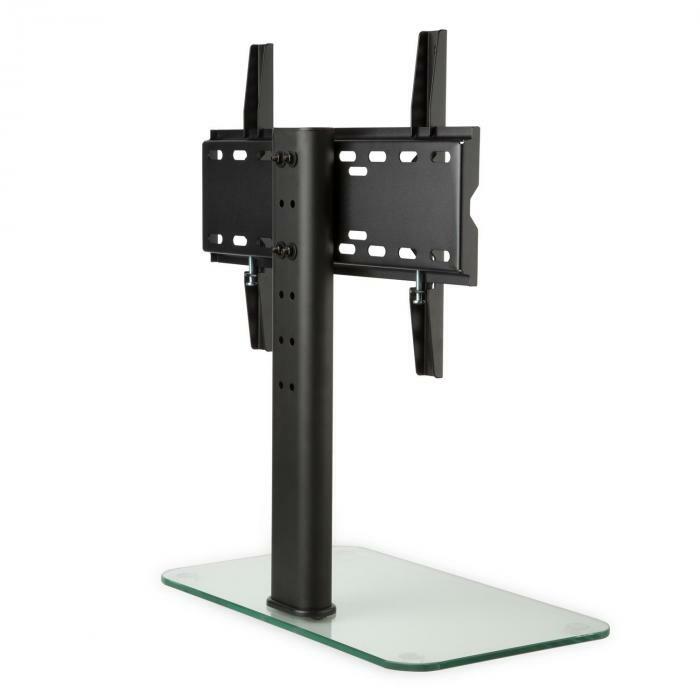 Annoying cables disappear easily behind the column to let the stylish tempered glass base become the highlight. The TV stand from auna is functional but also has a sophisticated design to provide fun and an alluring look.